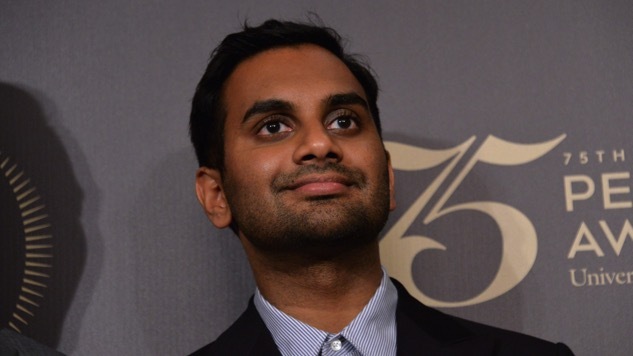 Since Babe.net published sexual misconduct allegations against him in January, Aziz Ansari has been laying low. But this weekend he resurfaced, performing a slew of sets at the Comedy Cellar in New York City, as reported by BrooklynVegan. The Comedy Cellar, as well as attendees, posted images and footage of Ansari on Instagram spanning Wednesday, May 9, through the weekend, so it appears the comedian performed at multiple shows. Ansari’s only other public appearance since the allegations was at a New York Knicks game in April, during which he sat court-side with a band of celebrities, Chris Rock and 2 Chainz among them. It was on Jan. 13 that Babe.net published an anonymous 23-year-old woman’s account, titled “I went on a date with Aziz Ansari. It turned into the worst night of my life,” detailing an evening gone wrong with Ansari. The woman, who is called Grace in the Babe story, said, “I believe that I was taken advantage of by Aziz. I was not listened to and ignored. It was by far the worst experience with a man I’ve ever had.” Grace described an evening of sexual coercion on the part of Ansari, to which she responded with both verbal and nonverbal push-back. You can see pictures of Ansari at the Comedy Cellar below and read Babe.net’s full report here. #ComedyCellar #Repost @ardiefuqua with @get_repost ??? COMEDY FAMILY!!! Me, Aziz Ansari @azizansari, Tracy Morgan @realtracymorgan, Joyelle @joyellenicole, and Tony Woods #tonywoods at Comedy Cellar Village Underground @nyccomedycellar. Amazing night!! !